It is summer here in the Philippines. While I prefer the sunny feeling than the rainy season, for weeks now we've been experiencing the scorching heat of the sun so much that the temperature has reached around 36 to 40 degrees! I am based in the capital city which is Manila so imagine the crowd, pollution of all sorts and the heat multiplied many times. I have eaten so much of halo - halo, ice cream and cold drinks to stay cool but really these are just good as 10 to 15 minutes then I am back to feel like I am near a fire place! I was checking the feed of my favorite backpacking group here in the Philippines to see any near place I can cool off this coming weekend. I actually have an all expense - paid trip to Aquaria Beach Resort in Calatagan Batangas but with a heavy heart I have to say 'No' since it was held Thursday last week. 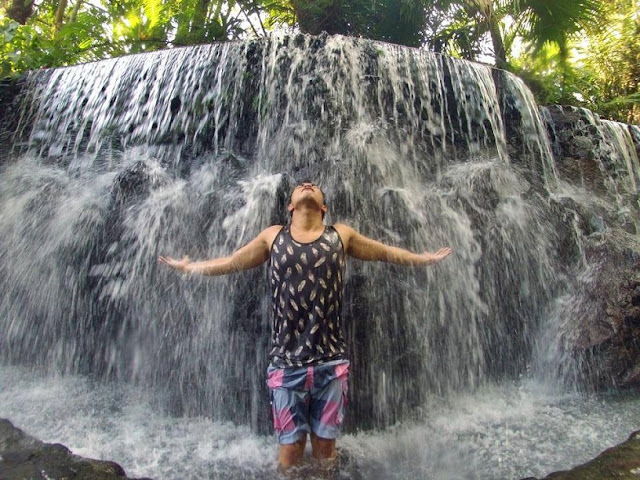 My first thought is to see the Pagsanjan Falls in the same province but that time I have not seen any blog reviews about it which for me is a bit surprising since this is a famous tourist spot in Laguna. 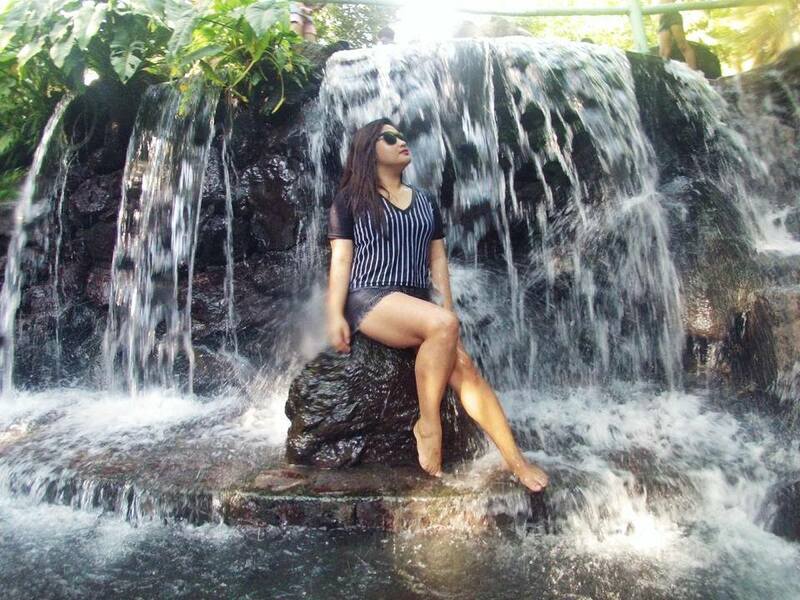 What actually caught my eyes is the Bato Springs Resort in San Pablo, a town in Laguna. I swear, I have never heard of this one before. I have been to Laguna so many times inside the UP Los Baños campus and nearby but this one not yet. I quickly texted my sister if she knew this, she sad she has not. 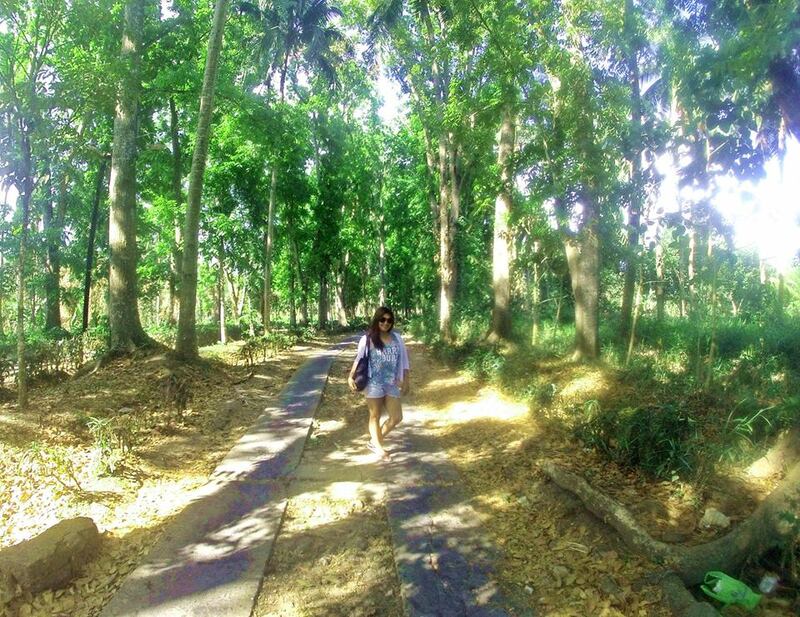 First thing that came to my mind when I saw this photo above is the Villa Escudero Plantation in San Pablo City. You eat al fresco with a backdrop of a beautiful fall. Sample Bus: JAC Linear, DLTB. Tell the conductor to drop you at Maharlika Highway San Pablo, Going to BATO SPRING. You can see the sign board "BATO SPRING" with arrow. We took Jeep, since tricycle are not available that time (They say they are all on a meeting) but it was a blessing in disguise. We only pay Php 15 instead of Php 150 for a special trip in tricycle. We also had to walk for half - kilometer to reach the Bato Spring Gate Entrance. Food: They brought their own food. Diona says the meals inside aren't that expensive so if you don't like the hassle of bring yours and cleaning the utensils after just bring enough cash. hi there Ms. Maria, day tour lang ba kayo? Did you rent a cottage? If not, pano yung mga gamit nyo san nyo sinecure? Hi Ms. Rona pag nag overnight po ba kami pwede po ba kaming mag tent. and ask ko na din po kung may kamahalan yung mga alcoholic beverages nabinebenta nila sa loob? gud am po ask quh sana un mga over night packages nyo..if ever na merun..